ShutterstockIf you are flipping the house for short-term living or to make a profit, be sure you estimate how the home will appreciate. When you are in the market for a new home, finding the right property while staying in your budget can be a challenge. You may have to make some compromises on your desires to make the process more affordable. 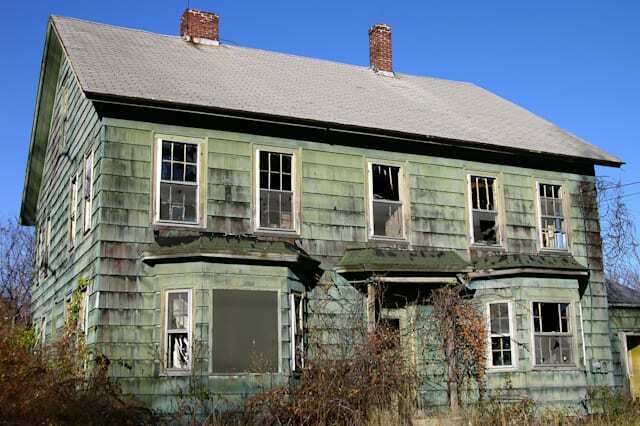 An option for homebuyers on the hunt for a bargain may be an older home that needs some work. Getting your home on the cheap can be great, but be sure you know what you are getting into before you sign on the dotted line. Check out some factors to consider if you are buying and renovating a fixer-upper. Put in the Research. The first step is looking for red flags with the property you are considering purchasing. It's a good idea to hire a home inspector to give the place a thorough evaluation -- this should cost around $200 to $300, but has the potential to save you thousands. If you choose to move forward, scope out the neighborhood before you begin any work. Attend a few real estate open houses if possible to examine the home interiors, and plan to keep the house within the realm of the neighbors' styles for resale purposes. If you are flipping the house for short-term%VIRTUAL-pullquote-Give the most important rooms the most attention first -- like the kitchen and bathroom.% living or to make a profit, be sure you estimate how the home will appreciate so you know the work and investment is worthwhile. Unless you are skilled in wiring, plumbing, installing heat or conditioning systems, and cutting through walls, it's a good idea to leave this work to the professionals. Before you buy the home you may want to get some estimates so you'll know about how much it will cost to fix up. If you are using a contractor or dealer, take the time to choose one with a good reputation. You can talk to people who have used him or her in the past, consult with the Better Business Bureau and even check websites like Yelp. Put in the Work. If you do decide to do the work or fund the materials yourself, it's important to use products that look good, are easy to maintain and last a long time -- these are not always the most expensive. Give the most important rooms the most attention first -- like the kitchen and bathroom. Electrical and mechanical work can take a while and make a big difference, so be sure to get started on these tasks early if you have a set date you need to move into the home. Finally, making a house your home is in the little things. These are often inexpensive additions that can make a big difference when it comes to being happy with your choice. This includes small touches like new doorknobs, ceiling fans, lighting or even landscape details. Fund the Fixing-Up. Buying an old home has its charms but when buying one, it's a good idea to think of the total purchase price as what you will pay to make the house livable and/or how you want it. This means the amount you pay to purchase the house is only part of the cost. It's a good idea to think about that as you decide how much money you will use as your down payment. To finance the renovations, you will need to have some money leftover. If you lack the funds for even immediate repairs, you should weigh the cost of borrowing against the cost of delaying the work. If you have to borrow money for the improvements, it's important to be cautious when using credit cards due to interest rates. (Here's how you may be able to lower yours.) Also, funding a large renovation on your credit cards can do major credit score damage. If you want to see how maxing out your credit cards affects your credit scores, you can check two of your scores for free every month on Credit.com. Whether it is physical, financial, or time-consuming, fixer-uppers can cost more than you may think. Before you make the decision to take on a housing project, make sure you know what you are getting into -- be ready to make a new type of budget and possibly even get your hands dirty!